Chevrolet Impala Monte Carlo Shift Knob. 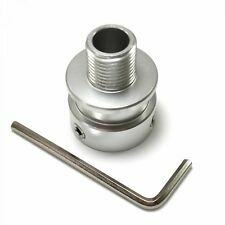 Will fit MOST 00-05 Chevrolet Impala - Monte Carlo - Pontiac Grand Am - Bonneville - with knob that uses a. Donor Car: 2001 Chevrolet Monte Carlo. OEM Automatic Shifter Handle Used. Features:Trim code 211, (Plate Brush, Plastic. This is so we can make a claim against the carrier if appropriate. You can rest assured that all the parts we carry will fit the vehicles that are listed. ). 2011 CHEVROLET IMPALA SHIFT KNOB.USED. SHIFT KNOB REMOVED FROM SALVAGED 2011 IMPALA.AS PICTURED. LKQ SKU: LKQ300 ~208680905 FLS01205X. We do our best to prevent these issues from happening and apologize for any inconvenience it may cause. Chevrolet Impala 2008-2011 Automatic Transmission (4 speed). Part Number: 76937. Established in 1959! But, occasionally problems arise. Below are guidelines for dealing with issues that occasionally occur. You can rest assured that all the parts we carry will fit the vehicles that are listed. Ekus Parts does all the research for you. Auto Trans Shift Lever Knob Fits Buick Century 76937 Dorman - HELP. Manufacturer Number: 76937. Shift Knob TypePistol Grip. Country of Origin China. UPC 037495769372. Weight: 1 Lbs. Interchange Numbers &nbspGeneral MotorsPart Number: 22509532. For 1964-1967 Chevrolet Impala's. 1964-1967 Impala. Factory Console Shift. One shift handle assembly with button as pictured. Equipped With. We are part of the Big Dog Performance Parts Family specializing in interior accessories for classic cars and trucks. Transmission Shifter Knob. Chevrolet Monte Carlo. Chevrolet Impala. 2006 - 2007. OEM parts are made of Thick High Quality Materials and will fit your vehicle perfectly. We have more than 15 years of OEM parts experience. New GM OEM 22630431 Black Leather Hot Rod Shifter Knob. 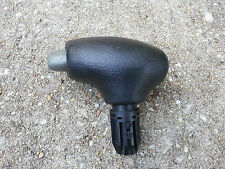 This shifter knob was used in the 00-05 Bonneville as well as the 01-05 grand Am. We do not know which trims they were used on so you will need to visually compare or consult your dealer. 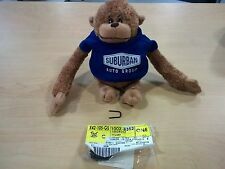 Other Part Number: 22509532. Replaces OE #: 22509532. Fits various models with automatic transmission and steering column shifter. Condition: New. - Select "More Actions, Cancel Order". Cancelations and Changes. Item is used and may show slight signs of wear. DORMAN PART # 76937, REPLACES GM # 22509532. COLUMN SHIFT GEAR SHIFTER LEVER KNOB. We specialize in parts for Camaro and Firebird's. Steering Wheel Column 4 Way Flasher Hazard Switch - KNOB. 1 - 4 Way Hazard Switch - KNOB. Knob SCREW NOT Included. Application: 1967-1978 Buick, GMC, Chevy. GM Part# 411525 Group# 2.575. READY TO INSTALL. [SEE PICS]. Shift Lever Handle Knob. New Reproduction Shift Lever Handle Knob. 1962 - 1966 Chevrolet: Chevy II / Nova. 1961 - 1963 Chevrolet: Impala / Bel Air / Biscayne. Fits the following Automatic Transmission Models . 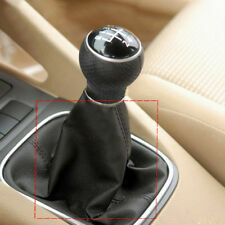 Manual 5 Speed Car Shift knob Type-R Style design for a comfortable grip. Easy And Fast To Install,NO modification required, directly upgrade your original knob. Made of quality leather, plastic and aluminum alloy, durable. It is made of the finest first quality resins as used by the automotive industry, then polished to a high gloss and ready to install on any car, truck, tractor or motorcycle. YOU MUST PICK ONE. Color:Marble Woodgrain. But, occasionally problems arise. Below are guidelines for dealing with issues that occasionally occur. Style: Globe Shape. 1x Gear Shift Knob1x Allen key. Material: Aluminum Alloy Leather. Universal fit for most manual car auto truck. Color: Black Blue. Our product have 2 Color : Black / Blue. 3x Rubber Sleeve. Up for sale is a new 1958-1959-1960-1961 Chevrolet Impala. Belair, or Biscayne 4 speed shift knob. It has 5/16" threads. No modification required, directly upgrade your original knob. 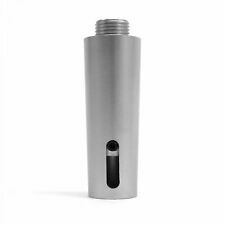 Material: Aluminum alloy. Fit For Most Manual Vehicles. On the other hand. whatever that can make you happy. PART # 85182, REPLACES GM# 1208533. NEW 700R4 200R4 OD Governor Square Plug In Connector V6 or V8. BROCK'S CAMARO & FIREBIRD PARTS. We specialize in parts for Camaro and Firebird's. Part # or Vehicle Model: 2992653. LKQ SKU: LKQ771 ~195119689 FLS14808X. We do our best to prevent these issues from happening and apologize for any inconvenience it may cause. Chevrolet Impala 2014-2018 AT; VIN 1 (4th digit, New Style). 100% Real Carbon Fiber Ball Manual MT Gear Stick Shifter Shift Knob Universal Feature: High Quality Universal Shift Knob 100% Rear Carbon Fiber Ball Shift Knob Easily grabbed for changing gears Direct replacement of the original Knob, no modification needed so long as thread size matches, Direct Screw On Dimensions: 58mm(H)x40mm(W) Design for Replacing Manual Transmission with 8mm, 10mm, 11mm, 12mm 4 Different Adapter Size: 8x1.25, 10x1.25, and 12x1.25 100% Brand NEW, Never Used or Installed Fitment:. 1 x Gear Shift Knob. Universal for most manual transmission cars. Color: White. dirt, misused, improper installation/operation, accident or repaired by unauthorized. This item have 3 months warranty. Console Shift Plate Indicator " P R N D L2 L1". Chevrolet:Impala SS. New Reproduction Console Indicator Shift Plate. 1965 Chevrolet: Impala SS. Fits the following models with a Turbohydromatic Transmission. Shift Lever Handle Knob. New Reproduction Shift Lever Handle Knob. Chevrolet: Caprice & Chevy II / Nova. 1966 Chevrolet: Caprice. 1966 Chevrolet: Chevy II / Nova. Up for sale is a new 1963 Chevrolet Impala Super Sport shift knob for floor shift automatic transmission. It has 5/16" threads. Every trip in your Chevrolet Impala, no matter how short or long, begins with a simple shift into "Drive." As a proud Chevrolet Impala owner, even this quick act can be something special. To give that moment a little more excitement, you can customize your Chevrolet Impala's gearshift with a custom knob or boot. What types of shift knobs are available for an Impala? Standard: This type provides all the quality functionality you'd expect from the trusted Chevrolet Impala marquis. Wooden: Add a touch of timeless style to your Impala by incorporating wood elements in the form a wooden knob. Carbon Fiber: Add a rugged and industrial look to your vehicle's gearshift with a carbon fiber knob. Skull: If you have a standard transmission, you can add a one-of-a-kind skull knob in the color of your choice. 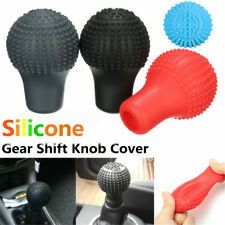 Blacked-out: Also for standard transmission vehicles, you can get a knob that's black with red lettering, providing an instant sporty upgrade to your vehicle. 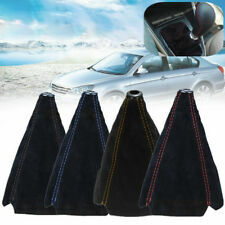 What types of shift boots are available for an Impala? Classic black leather looks abound and are available from a number of OEM and aftermarket Chevrolet parts manufacturers. If you do need to replace your Chevrolet's boot, this is a general outline of how you do it. Remove the knob and nut holding down the boot. Pop the boot frame out of the holder, then remove the boot from the frame. Install the new Chevrolet boot on the old boot frame, using the means recommended by the boot manufacturer. Pop the boot frame back into place. Finally, replace the boot nut, the knob, and then test for proper operation. Who manufactures shift knobs for an Impala? Chevrolet knobs are available from a variety of manufacturers. There are always original equipment manufacturer models if all you need to do is restore the original functionality of a broken knob on your Chevy. Of course, as mentioned, knobs are also manufactured by numerous aftermarket companies who provide a variety of different styles. While knob fit should be fairly universal, do check for compatibility with your specific Chevrolet model year. How do you install a new Impala shift knob? Replacing your knob is a simple project you can complete on your Impala, and it doesn't require any tools. For a manual Chevrolet model, you only have to unscrew the old knob and put the new one on. The following is the procedure for a Chevrolet automatic transaxle knob. Slide down the trim piece attached to the knob. Loosen the set screw holding the knob in place. Pull up on and remove the knob and attached trim piece. Position the new knob on the gearshift lever and replace the set screw. Finally, snap the trim piece into place, and test for proper operation.